GetDivorcePapers.com provides professionally completed, 100% court-approval, money-back guaranteed Idaho divorce forms. Just create an account, complete the interview, and file for divorce. Our case managers do all the work for you, and send the completed Idaho divorce forms when they are ready to be filed. It is essential for that filer has been living in Idaho as resident for six weeks before he or she files a case in court. Further, papers for the divorce must be submitted in the county of defendant. 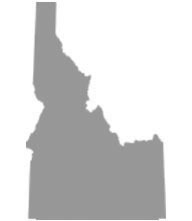 In Idaho, courts deal with the fault based divorces and no-fault based divorces. Whatever the condition is, both the defendant and filer have to agree with the reasons that are mentioned in the case. If one of the two spouses has some dispute, then he or she has to prove it separately in court of law. Generally, separation for consecutive five years and irrecoverable breakage in the bond falls under the category of no-fault divorces. Under the parameters of fault based divorces, insanity in either of the spouses and adultery are most commonly found. If the person drinks beyond the limits, has convicted a crime, and possesses a lot of aggression then this also falls in fault based category. Child's desire to live with either of parents or both. Child's relationship with the other family members. Adaptability in the child for the new environment. Joint custody is always preferred in Idaho unless there is no way out for this decision. Age, fitness, and occupation of the two spouses. Time period for the marriage. Vocational skills, qualification, and income of the spouses. Exact needs and debt obligations of the spouses. Courts have the rights to declare maintenance for the spouses if the spouse. Does not have the sufficient physical assets to meet requirements and needs. Does not have any job. Monthly income of the alimony payer and time duration marriage lasted for. Resources required by the spouse to get sufficient education with a purpose of getting employment. Health of the two spouses and tax liabilities on them. Financial background and resources of the child. Living standards that a child has. Emotional and social needs of the child along with his or her education expense. Insurance cover for the child. All this support comes to the court which is then distributed to kids. If a couple has minor with them then they have to stay for 90 days after the submission of the case. Otherwise, they have to wait for just 20 days for the final divorce to come. But the spouses are also requested to go for counseling for settlement. There is no need of a lawyer when applying for divorce in the state of Idaho. A divorce case which is filed without any help of an attorney in any of the states is known as Pro Se Divorce. Literally, Pro Se is a Latin phrase and it means "on her or his own". Process of getting the divorce without the help of lawyer may vary from one State to another. These types of divorces are perfectly legal and enforceable in Idaho, and are actually very convenient. Usually, once settlements have been made regarding property distribution and custody matters among the spouses in case of a mutual divorce, Pro Se Divorces are filed.